The Bahamas, officially called The Commonwealth of Bahamas is an island country located in the Atlantic ocean .Lets read about some interesting facts about the nation. Lucayan people were the original inhabitants of Bahamas,they were shipped by Spanish to Hispaniola .The island remained deserted till British colonists from Bermuda settled on the island in the mid 17th century. In 1973 the Bahamas became a sovereign state , a member of commonwealth and retained Queen Elizabeth as its constitutional Monarch. 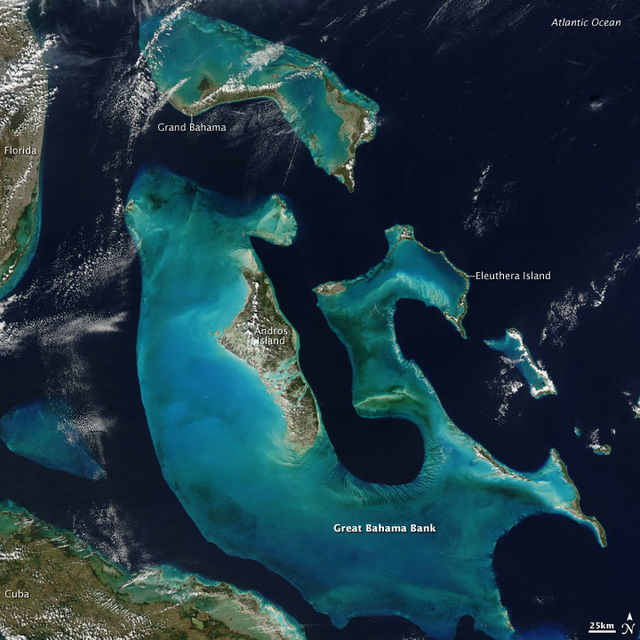 The name Bahamas is derived from the Spanish word which means "Low Tide". Half of the entire jobs in Bahamas is contributed by tourism. The population of Bahamas is estimated to be about 350,000 , the ethnic makeup constitutes 85% Africans, 12% Europeans and 3% Asians and Latin Americans.